Every Mom's wish is that her kid stays young all the time. Every child’s dream is to become grown up soon so that they don't have to go to school and start working. Moms are wired with more emotions. Her worries never ends. As the kids grow the concerns grows along with them. When you hear the scary stories or some prank threats that happens at school, you wish your kid was a baby so that you are in charge of his/her safety. It feels like they grow so fast within a blink of eye especially when you take a glimpse of their baby pictures. Every year I bake a birthday cake for my daughter and have a small birthday party with her friends. We bake together some cupcakes for her class too. This year her birthday happened to be on Sunday and we celebrated with her friends at church. 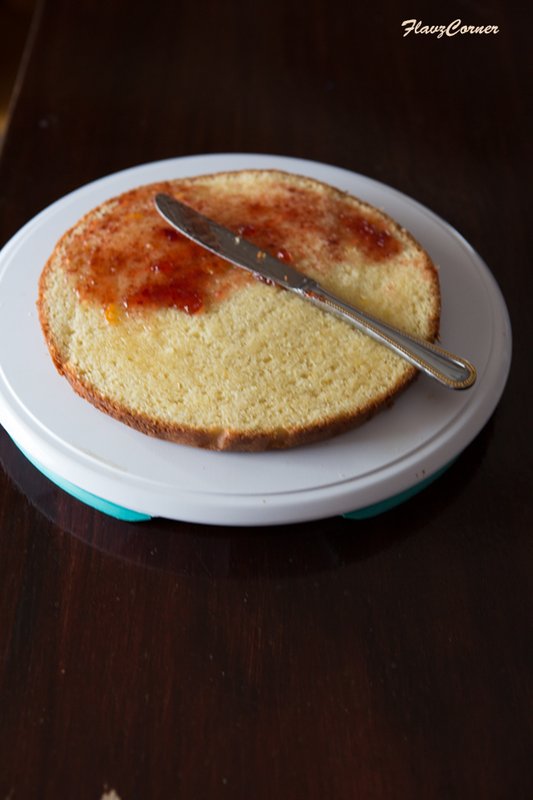 Her birthday cake was a 3 layered simple Vanilla cake moistened with orange marmalade and simple syrup. These cakes had strawberry preserve and whipped cream filling with some strawberry decorations. 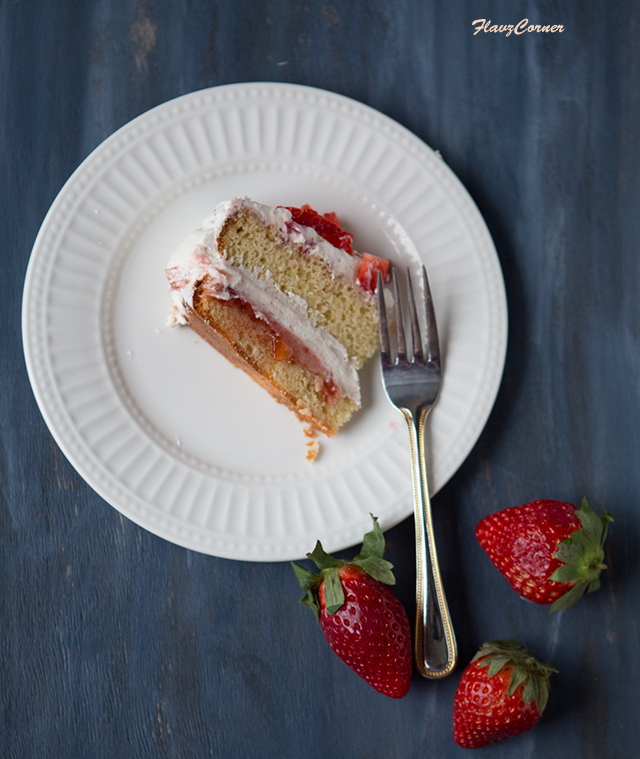 It was a simple cake with a light frosting that was appeasing to everyone’s palate. We made lemon cupcakes for her class and frosted them with Lemon Cream Cheese Whipped Cream Frosting. I am so passionate about experimenting with different frosting that can hold shapes. I like to stay away from over sweetened frosting if possible. Hence whipped cream frosting and Swiss Meringue butter cream frosting are my favorites. 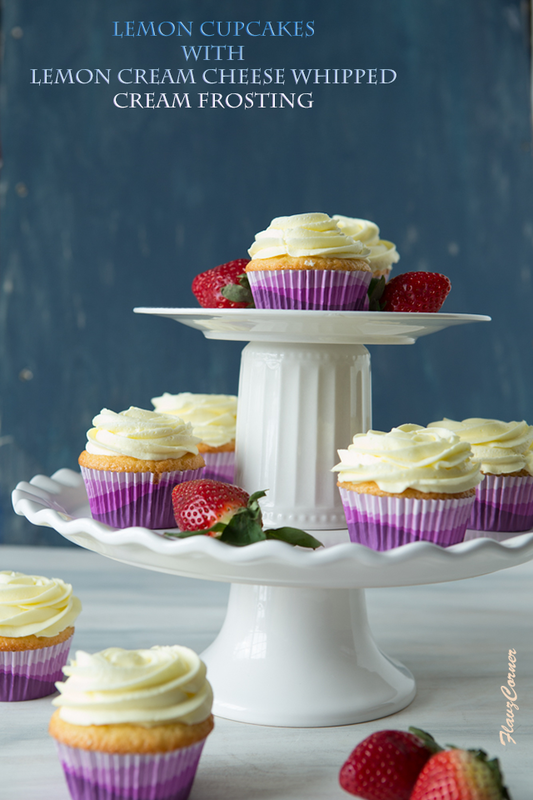 This time, I experimented with something other than Swiss Meringue butter cream for the cupcake frosting and it was an instant hit. It is light and fluffy as whipped cream and silky as Swiss Meringue butter cream. The best part is that even though it is an airy and low sweet frosting you could pipe it so well. I was so excited to pipe away some rosettes on the cupcakes. My daughter is a fan of citrus flavor, so she preferred a lemon flavor. The lemon flavor worked well with the cream cheese whipped cream frosting. I highly recommend you to try this frosting. The frosting was so stable that the rosettes retained their shape even when left at room temperature for some time. I can be prolix with the savor of this frosting. But I am leaving it up to you to try and decide. Here are some pictures of her birthday cake. Excuse the low lighting in this picture that diminished the quality of the shots. 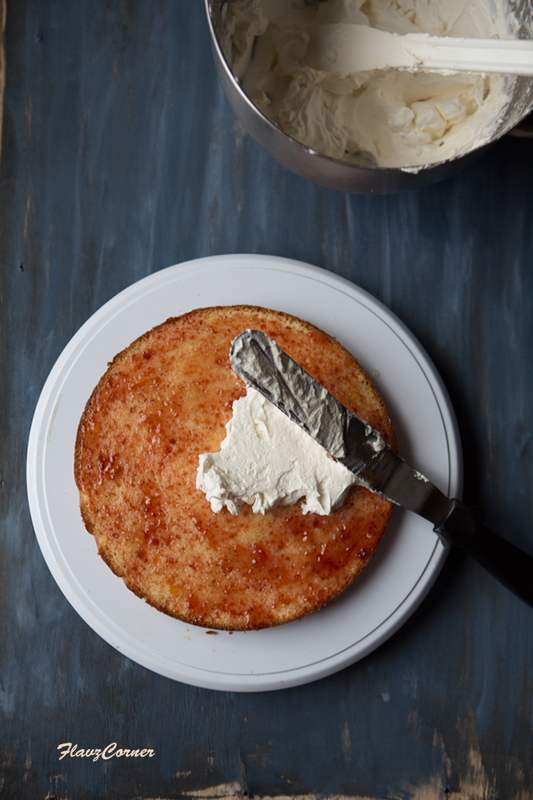 Vanilla cake layer moistened with orange marmalade and simple syrup. Second layer is the whipped cream frosting stabilized with meringue powder and confectioners sugar. 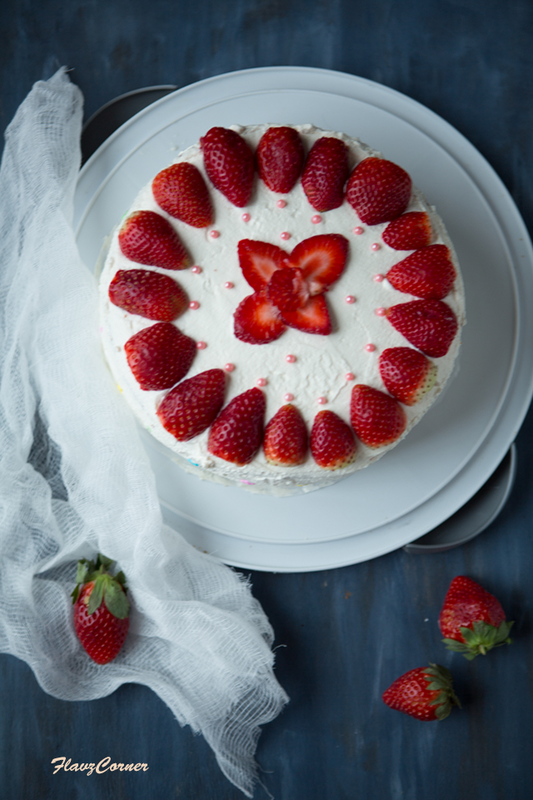 Top view of the cake with some fresh strawberry decoration and edible pearls. A slice from the additional cake I made for her birthday that had just 2 layers. In a clean bowl of the stand mixer, beat the cream cheese till smooth with the paddle attachment. Add 1 tbsp of lemon juice and lemon extract and beat well. Add batches of sifted confectioner's sugar and beat till incorporated. Add the gel color per your requirement and beat well. Transfer the smooth cream cheese mix to a big mixing bowl and keep it aside. Clean the mixing bowl of stand mixer and wipe it dry. Add the cold whipping cream, powdered sugar and meringue and beat on low speed with whipping attachment for 10 seconds. Increase the speed to the highest and whip till stiff peaks are attained. Watch carefully not to over beat the whipping cream which will deflate the cream. Add a dollop of the whipped cream into the cream cheese frosting and use a rubber spatula to fold in. Repeat the step carefully till all the whipped cream is mixed with cream cheese and no streaks of white are seen. You can also use a wire whisk to do this step. Just be careful not to deflate the whipped cream. Your frosting is ready to be piped. 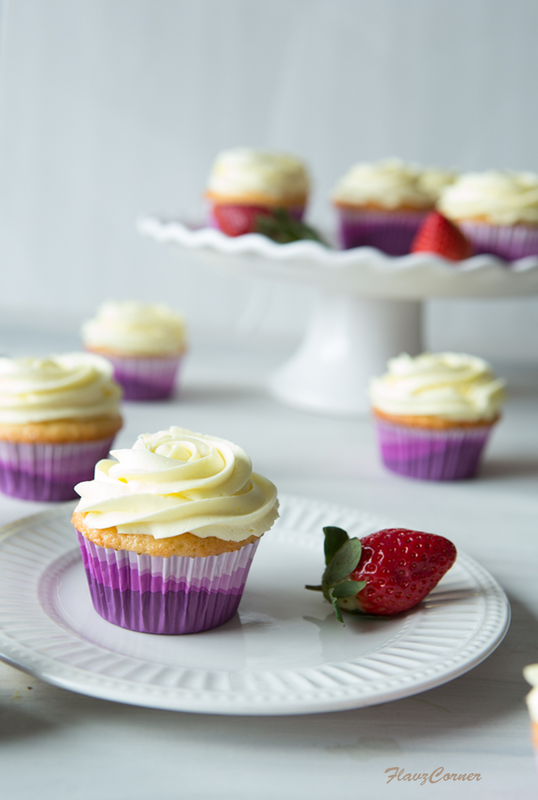 Transfer them into a piping bag with the desired tip and decorate the cake(s). I piped double layer of rosettes on the cupcake. Adding the meringue powder stabilizes the whip cream. 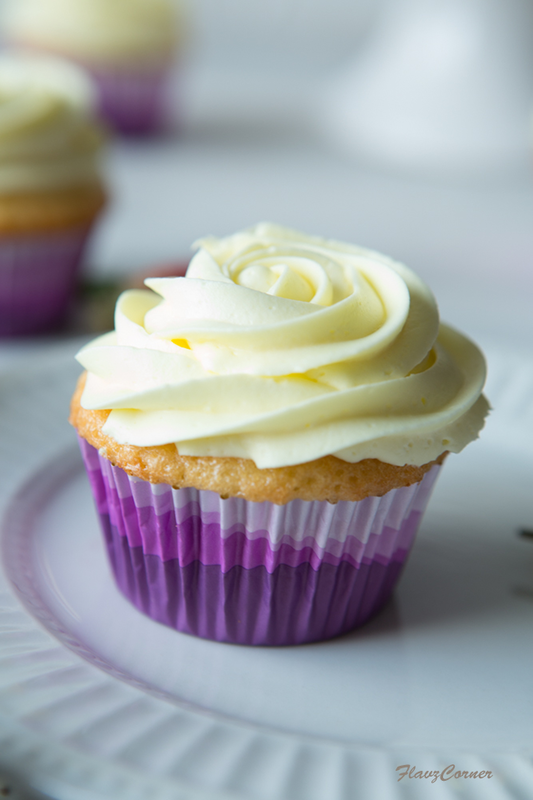 Make sure not to over beat the whipped cream when mixing it with cream cheese frosting. You can use any fruity flavor with this frosting. I always love to see the beautiful frosting...yours are so perfectly piped. I love lemon! So those cupcakes would have been perfect for me. :-) Happy Birthday to your daughter! A very Happy Birthday to your daughter. 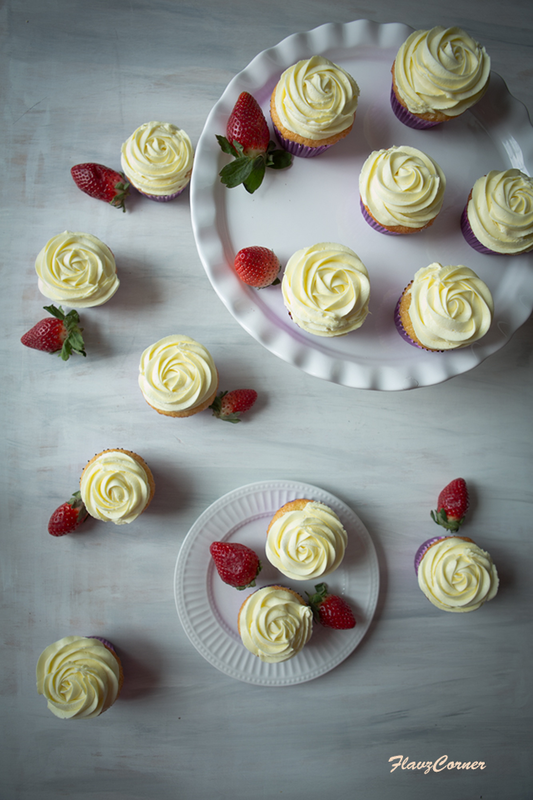 Love lemon cakes and cupcakes, and these look absolutely divine, Shibi. That frosting sounds droolicious.